Colored screen print edited by Sunday B. Morning printed with high quality inks after Andy Warhol's passing and given with the certificate of authenticity of the editor. 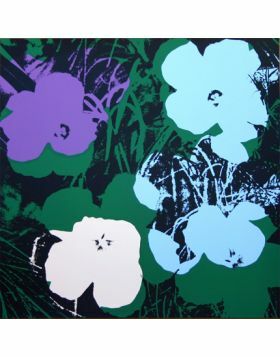 The Flowers are part of the group of works which come from the famous Factory and are the result of a process which mixes photography, screen print and painting made by different hands. 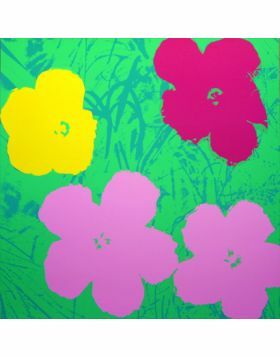 Warhol changed the concept of the unique piece by creating repeated art works. 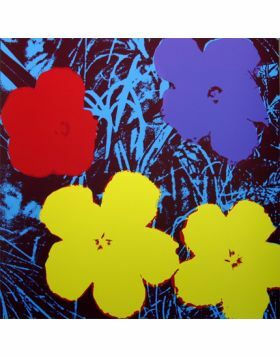 Starting from a photo depicting hibiscus flowers, published in the magazine "Modern Photography" in 1964, the artist rads the image back and repeats it several times (more than 900 copies) until it becomes graphic and decorative. 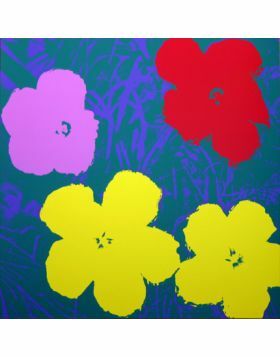 The flowers here exposed are made using different color compositions and can also be interpreted as Warhol's research for how our visual perception is altered by chromatic variations. 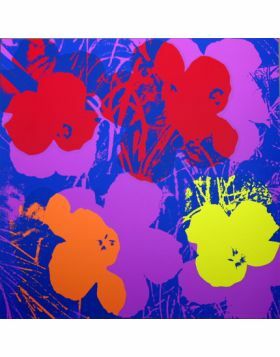 High quality printing Sunday B Morning authorized, printed after Andy Warhol's death and produced by a contemporary brand with the artist. 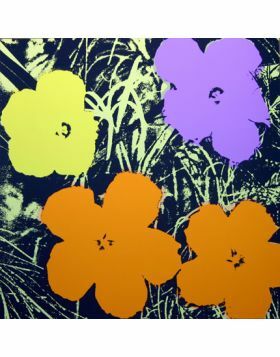 Nota Stampa autorizzata Sunday B Morning di altissima qualità, postuma la scomparsa dell'artista Andy Warhol e prodotta da un brand coevo dell'artista. Un prodotto con massima qualità di stampa e lucentezza. 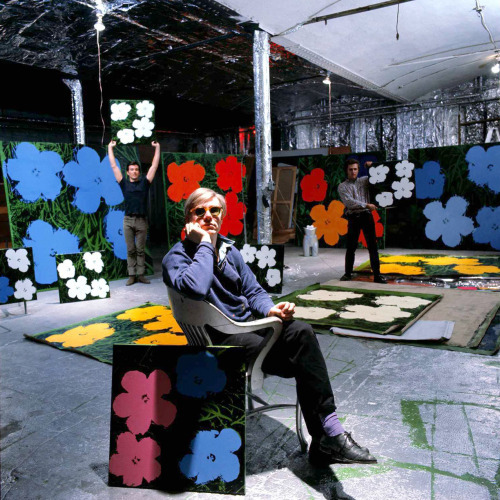 Flowers for Andy Warhol have always been one of the most followed subjects during his entire career. People think that they express the most intimate part of the artist, the most hidden one and maybe te most controversial one too. 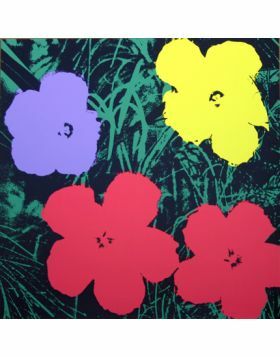 The screen printings "Flowers" were realized for the first time in 1964 and the subject is Ibisco Flowers, taken from a picture of Particia Caulfield. 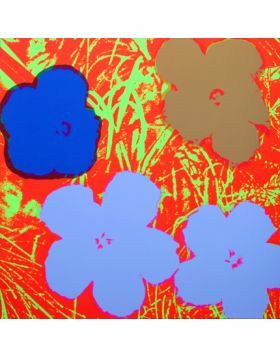 "Flowers" have been manipulated and interpreted many times during the years, because of the passion that Warhol had with respect to this particular subject.